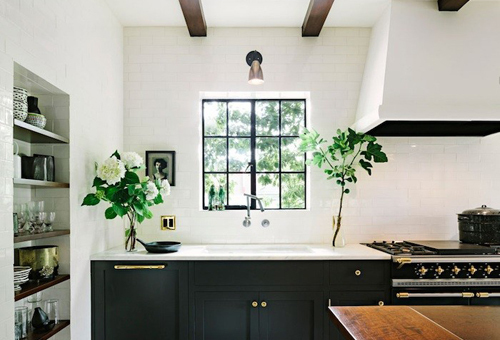 I love the idea of horizontal boards as a backdrop...as well as traditional subway tile. And I have to say, I'm a fan of open shelving in a kitchen, it just feels more interesting as you can style it like a bookshelf and show a bit of personality. It's nice when you can have a white backdrop and then just play with color using all manner of accessories (including the kitchen counter). 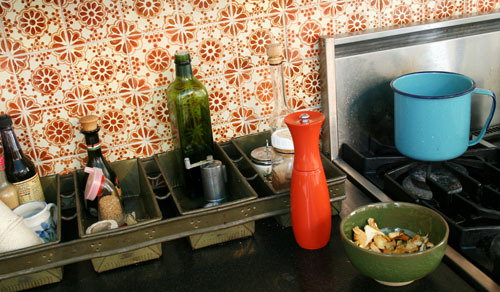 So many good ideas out there- I hope you create your own desktop folder of kitchen pics you like. In time, you'll be inspired to paint a wall, change a light, put up a bookshelf...like I said, small changes make a big impact.